When MUD or your local utility company says there’s a water line leak or other water line problem, call Major Drain for fast and reliable water line repair services. The utility company will offer to fix it for you, but water line repair will cost much more through them. Major Drain will evaluate the water line for your Omaha home then discuss your water line repair options. Our experienced team will get the job done quickly and properly to get your water service back up and running. The water supply line that services your Omaha home will likely go many years without problems. MUD or your local utility company performs regular inspections, and occasionally they will find a water line leak or other issue. You may also notice some hints that there may be a problem on your own like a sudden drop in water pressure, discolored water, or a recurring wet spot in your yard. The cause is often tree roots growing into the pipe, shifting ground in the surrounding area, or a buildup of minerals or residue that caused a blockage. When this happens, you’ll need a master plumber to inspect the main water line and complete any necessary repairs before the problem gets worse. MUD and other utility companies typically require you to schedule water line repair services within a month of your notice. If not, they will shut off your water or repair it themselves at whatever cost they choose. Fortunately, the water line repair cost through Major Drain is very competitive. Once you’ve scheduled water line repair services with Major Drain, we’ll come out to your Omaha home for an evaluation. 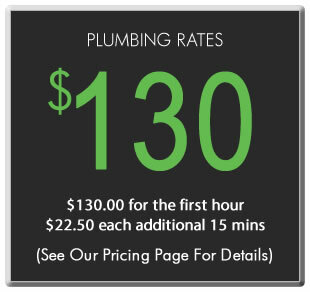 Our licensed plumbers will talk with you about any issues we’ve discovered and explain the repair process in terms of price, time, and materials; in most cases, multiple options are available. Major Drain will perform all water line repairs as efficiently as possible with as little disruption to your yard and daily routine as possible. After we’ve completed all repairs, the main water line is pressure-tested for any leaks or issues. A municipal inspection will then need to be scheduled for final approval. With Major Drain, your Omaha home is in good hands. Our talented professional plumbers provide friendly, convenient service and take care of your plumbing problems as quickly and simply as we can. Finding out from MUD or any other local utility company that you need water line repair services may seem like a hassle, but Major Drain will work with you every step of the way.